This past weekend was an opportunity for Team Po Po to see how they compete on a national level and to bond as a group. Competing in Peach State Basketball’s Tip Off Classic also gave the team an opportunity to compete against 4 different styles of teams. In a tournament of this magnitude, you will have your ups and downs, especially with a rebuilt team. 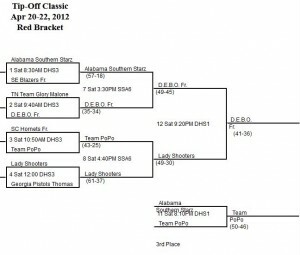 Finishing with a 2-2 record and a 3rd place finish – Team Po Po is off to a great start to the season. 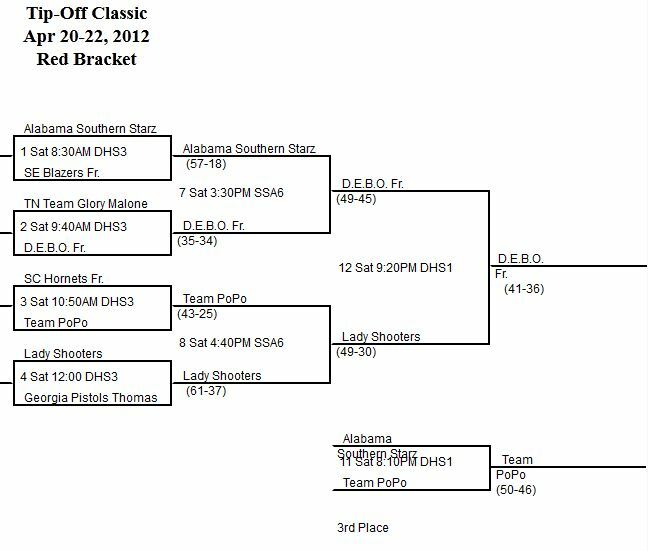 The highlight of the tournament was the 3rd place game against Alabama Southern Starz. Coming into the game after a disappointing 18 point loss and to win against a taller, stronger and more physical team showed just how much the players and team had grown in the event. Deja Faulkner lead the team in scoring with 13 points while using her low post back to the basket and face up moves. Destiny Henderson added 8 points while doing double duty as shooting guard and point guard. Aliyah Herod provided key buckets at the point guard position adding 6 points. Brenda Fields displayed her penetration skill with 6 points. Jasmine Suggs scored in a variety of ways, including behind the arc and free throw line, to add another 6 points.